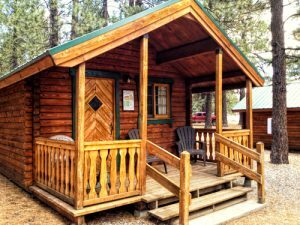 One of the challenges of securing a remote location like a cabin, boat shelter, shed, barn, or other structure is the location itself. 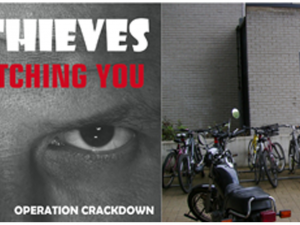 A location far away from others give crooks a sense of “freedom” to do their nefarious acts. In the unlikely event that someone stumbles upon them when they are breaking into a structure or prowling around a property, law enforcement is a long way away and in some cases, are just not in a position to respond at all. There are many excellent alarms and intrusion systems that provide an effective level of security for remote locations but most of them require a continuous supply of electricity. Cabins and other structures that are totally off-the-grid may have some source of periodic electricity (solar, wind, 12 volt batteries, etc.) but often this electricity is not sufficient to continually power an alarm or security system that requires electricity. 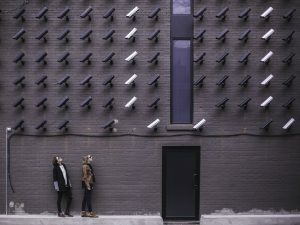 Without a reliable source of electricity all of the new-fangled Wi-Fi alarms and remote surveillance systems just will not work. When securing a remote location one often has to go “old-school” and remember that all good security is premised on a layered security system. Layered security (sometimes referred to as layered defense or other names) refers to the coordinated use of multiple security devices that use multiple components and provide multiple layers of protection. If an intruder breaches one layer of security, they have to breach additional layers of security before they can reach the asset. In a simple physical security application, layered security usually has four primary goals: deterrence, detection, delay, and response. The first layer of defense might be fence or gate or bright lighting which is intended to deter an intruder. This might be followed by a surveillance system that is designed to detect intruders. This could be coupled with locked or fortified doors designed to delay or slow down an intruder. Finally, an interior alarm system could be used to scare an intruder away and summons police or security officers. 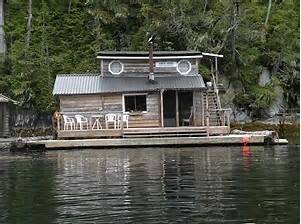 I own a remote off-the-grid cabin on the Oregon coast where timely law enforcement response is essentially non-existent. Even if police were notified of a break-in, they likely would not be able to respond for hours. This is just the reality of the location. In my case I do not keep much of value in the cabin when I am not there (no generators, expensive tools, firearms, or anything else) but some of my remote neighbors do, and crooks know that. It is easy to boot in the front door and make off with a $1,000 portable generator or some expensive cordless tools. My first layer of defense is some large signs intended to deter intruders. The signs tell would be intruders that the cabin does not contain anything real valuable (which is true). 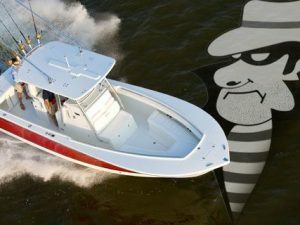 I know that some burglars and assorted thieves cannot comprehend well, so the signs go on to say that the cabin is protected by surveillance cameras that are routing video to a remote server via the Internet. I do not have any Internet but I have installed realistic surveillance cameras that are easy to see. I have even gone so far as installing an old satellite dish on the roof to give the illusion of an Internet based surveillance system. 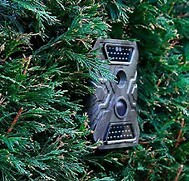 In addition to the fake surveillance cameras, I installed battery operated wildlife tracking cameras that will take photos of anyone approaching my property. These were strategically placed in an attempt to detect intruders. An intruder who realizes that the cameras have just snapped photos of them might be inclined to try and steal them and thus steal the evidence so I camouflaged these cameras to avoid detection and placed them high enough to prevent an intruder from easily stealing them. As another security layer designed to deter trespassers, I installed solar powered motion flood lights around the cabin. These are not the dim solar lights you can buy at the big box stores. I spent the money to get the most powerful solar floor lights that I could find. Even here in cloudy Oregon the solar panels get enough sunlight to provide for a bright flood of light when anyone gets close to the cabin. In keeping with my previous article: Outdoor Security Lighting, Consider going Blue, http://physicalsecurityonline.com/outdoor-security-lighting-consider-going-blue/ I converted some of these lights from the run-of-the-mill soft white light to bright blue light. To deter and delay a burglar from breaking in, I “hardened” all entry points (doors & windows). Even though we do not have hurricanes in this neck of the woods, I put metal roll-up hurricane window shutters over my windows. They look decent and can be easily rolled-up when I am at the cabin. They are not impenetrable but provide a reasonably strong cover over the windows. A would-be intruder would have to have some tools or expend time and effort to pry they off. I also placed a hinged plywood door over the front cabin door and secured it with a padlock. I painted it the same color of the cabin so it blends in and does not give the appearance of the front door being boarded up. When I am using the cabin, I can detach the plywood door cover in less than five minutes. Could a burglar cut the padlock or pry the plywood off? Sure, they could. But this would take some tools, time, and effort. All security measures can be defeated by a determined crook, but “hardening” my windows and door was a reasonable, cost effective, and aesthetically acceptable way to deter and delay an intruder. As mentioned, a prompt law enforcement response in my remote location is not going to happen. 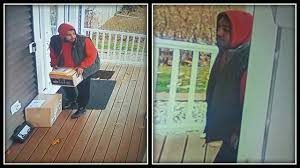 But, unless the intruders wear some kind of disguise, the photos from my cameras should give law enforcement some viable leads to follow-up on. But, if intruders manage to breach my layers of security and enter my humble cabin they will face an additional layer of security designed to repel them from the property. In a previous article: BLAST the Burglars with Pepper-Spray! http://physicalsecurityonline.com/blast-the-burglars-with-pepper-spray/ I wrote about an anti-intrusion device that did not need electricity to operate and would blast an intruder with OC pepper spray once the intruder gained entry. This blast in the face of OC pepper spray is intended to force an intruder out of a building, home, office, car, shed, or any other premise, without human interaction. I installed one of these devices just inside my cabin front door. Because I believe in multiple layers of security, I went one step further. Here in Oregon, like I suspect in every state, it is illegal to set up a spring gun or booby trap to protect property if the device is intended or capable of injuring an intruder. Not only can the property owner be held liable for any injury or death to an unwanted intruder such as a burglar, but the property owner can be criminally prosecuted in most states. Any person who places or sets any loaded springgun, setgun, or any gun, firearm or other device of any kind designed for containing or firing explosives, in any place where it may be fired, exploded or discharged by the contact of any person or animal with any string, wire, rod, stick, spring or other contrivance affixed to or connected with it, or with its trigger, commits a Class B misdemeanor. I did not set up any type of spring gun but I did use some 12 volt batteries and a solar panel and set up a wire that will give the intruder a jolting electrical shock (similar to that of an electrical livestock containment fence) should they not be repelled by a blast of pepper spray. This will not harm anyone but it should give an intruder the surprise and shock of their life! Hopefully, it will cause the intruder(s) to flee. If an intruder is not deterred by my layered security measures and manage to defeat all of my layers of security, the intruder will be sorely disappointed. Like the sign says, all they will find inside is some old furniture, some Dollar Store pots & fry pans, some canned food, and a few bargain-basement fishing poles.